Title from FSA or OWI agency caption had misspelled place name as "Sneffles." Changed to "Sneffels" from information provided by the Flickr Commons project, 2008. 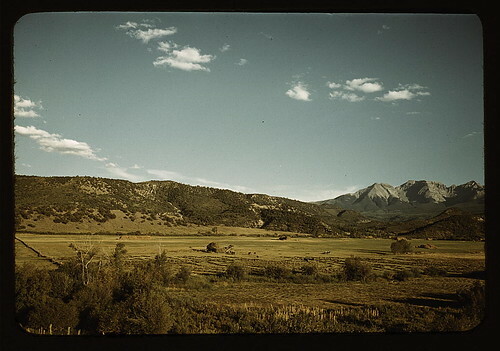 This entry was posted in Colorado and tagged Colorado, County, Farmland, Ouray, Sneffels, vicinity. Bookmark the permalink.